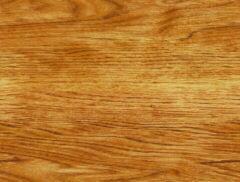 We'll take a piece of lumber (white oak) and turn it into a shadow box (display case, retirement box, etc.) I'll be using white oak, walnut plugs, and perhaps walnut trim. We have a 10' long board surfaced on both sides. The mill marks are still present. Cut the board at the mark. It is easier to work with two short pieces instead of a long one. Mark the ends. We'll match them up later so the grain "wraps" around the corner. 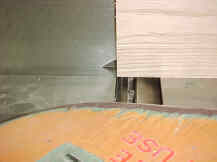 Set the jointer to shave a very little bit of wood. This helps prevent tear out. Joint one edge of both boards the same number of times until smooth.